“According to a report in Science Daily, a new Canadian study shows that children exposed to high concentrations of manganese in drinking water performed worse on tests of intellectual functioning than children with lower exposures”. The article then goes on with other products such as soy infant formula, fluoridated water, breast feeding and then on to healthy alternatives and how you can protect your child from excessive manganese exposure. “First and foremost, do not give your child soy formula or other unfermented soy foods. Which of course discuses water filters and different methods of point of use water filters that removes THM’s (trihalomethanes). At this point, i’m sure your wondering where I am going with this post. Well..
Dr. Mercola has written and talked about alot of contaminants in his articles since he started selling water filters on his website. The water filter Dr. Mercola has been recommending is called the Pure & Clear Water Filtration system. But when you click on the website, it says they’re all out of stock! Hmm…that got me thinking, wow! this must be an awesome product that he sells so many, he cant keep them in stock for his customers!…So I do a little bit more research on his site. http://www.pureclearwaterfilters.com/. The first thing I look for when researching water filters is NSF certification or at least a 3rd party certification by the water quality association or any type of certifications, regulations, listings and performance data. These are the most important thing to look for when researching a water filter! However, I could not find any of this information on Dr. Mercola’s website. This definately surprised me. Although the product Dr. Mercola endorses, may indeed be a wonderful product and may reduce many contaminants found in tap water, he has absolutely no documentation to back it up! So…On to my next quest. I decided to try and contact them to see what was up and to find out if the Pure & Clear system had any NSF certification. The easiest way I saw to do this is to talk to a “chat specialist” …woohoo and I actually got someone! YeHa. The following is our actual conversation. (This also explains why the product is no longer in stock (sold out). Dana S has received your message and will be right with you. Thank you for contacting Mercola.com, my name is Dana how can I assist you today? does the pure and clear water filter have any nsf certifications? The unit itself is not NSF certified, but the cartridge holders are certified. Unfortunately we no longer carry those units, but will be launching a brand new system within the next month. Unfortunately we do not have that information until the product launches. I can email you as soon as I am given more information on the new units that we will be offering if you would like? OK I am happy to do that. Is buttrcup6109@yahoo.com the correct email address? Ok I will email you as soon as I am given additional on our new units. Is there anything else that I can assist you with today? I would definately put some NSF certification documents on the next water filter Dr. Mercola endorses. Informed people would like to see performance data to back up the contaminant reduction claims. I will be happy to pass your that along as a suggestion. And to compare them with other filtration products. I encourage Dr. Mercola to look at Multi-Pure drinking water systems. He will not find a better NSF certified water filter in terms of contaminant reduction. Ok, I will pass that along as well. Thank you … Have a great day! You’re Welcome Laura! Have a great day as well! Thank you again for contacting Mercola.com. Please do not hesitate to contact us with any additional questions or concerns. Thank you and have a happy healthy day! Dana S left this room. So far multi-Pure is the best. I agree that certain product specially in this business product owners or endorser should have a certification from a legit group that proves their claims of the product. Good Laura on your search..Keep us updated. Thank you for posting this information. Interesting. Thanks for your responses. 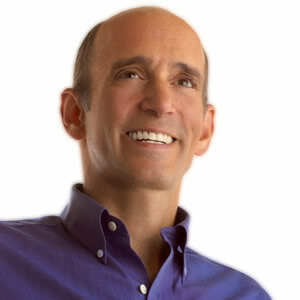 I truly respect Dr. Mercola, but I wonder how well he actually researches his products before he promotes and sells them. Just makes you say hmmm? Activated alumina is one method to remove fluoride, but a slow flow is required to remove the fluoride. Has anyone tested the Mercola filter for the removal percentage? I see now that Dr. Mercola is now marketing aquasana water filters under his own name. Again, Aquasana filters are not NSF certified. Dr. Mercola is now selling Pure @ Clear filters, which meet California’s standards. How do you think they compare with the Multi-Pure filters?